At the beginning of the week I knew I wanted to get a few things accomplished on my to-do list, and I'm happy to say that this was one of them! Organizing my stacks of magazines. Is it sad to say that rows of labels might put a smile on my face? I don't have too many tips here, but if you're just getting started, the best thing to do is make piles of your magazines by their titles. Then move on to putting them in their folders, rather than adding one at a time. If you're really pushing your Type A label, organize them by date once in their folders. I made a silly mistake by purchasing round labels and thinking these metal things would just "pop" off and I could replace them. No shot. So I printed my round labels and then folded them over to fit. Super easy. Some of the titles ended up not making it to the center of the silver label box...might have to go back and reprint those. By the way...all magazine folders are from Ikea and super cheap. Another thing on my to-do list? Spend time with these ladies! 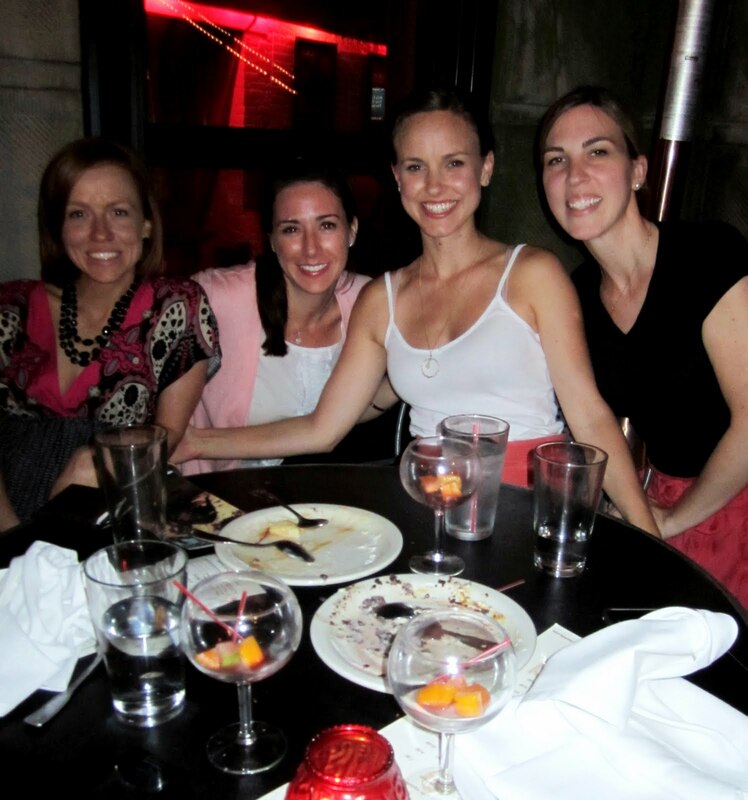 Last night we enjoyed the warm summer night on the patio of bar lola sipping a little sangria, and dining on delicious tapas! Love these girls. Magazine hoarder here. You have inspired me with your beautiful storage. I so need to do this. It kills me to throw away old magazines, I have started ripping out the pages I've turned down and filling a binder. However, I like this much better. No more ripping! looks like a fun time with your girlfriends! loved seeing you last night- lets do it again soon! pretty shelves of magazines and friends! The organization looks great! 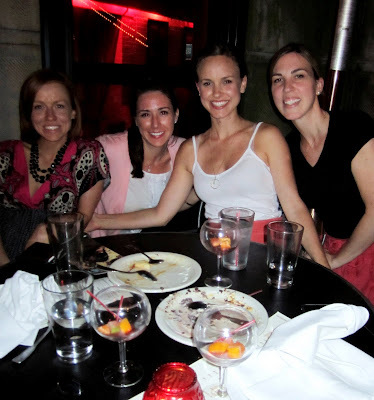 Funny, last night I was having tapas, but at Estragon in the South End. Have a great weekend! What a great way to store magazines. I might actually do this! And love sitting on the patio at Bar Lola. Enjoy the rest of our beautiful Boston summer. that's a very smart idea! i commend you for it. great post! Great post. And, your timing is great, I have been in full magazine organizing mode all week. Quick question - what font is that on your labels??? I really like it, have seen it a lot, but don't know what it is. . . This looks great. So neat + contained and yet totally functional. A few of my readers have asked me to write about a solution for magazines, but, instead, I'm just going to point them here! such fun! i look horrible in that pick but look at those desserts we finished off! 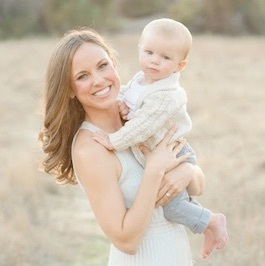 Linds looks great! Lovely! I love organisation! Makes me so happy. Have a lovely weekend! Amazing how the magazine holders fit perfectly in the shelf. I love that! You are inspiring me to organize my home office!! Even inexpensive magazine holders look great when there are multiple, identical ones lined up and neatly organized. I've been making an effort to just remove the articles and images that I like and recycle my magazines though. My husband likes to tell me that I could redecorate the entire house for the amount of money I've spend on shelter magazines! holy jealousness of that magazine organization lol. cute pic of you 4! Happy weekend! Now, this is just too darn cute. Not to mention, useful! I need to get my tush in gear on this very same project! 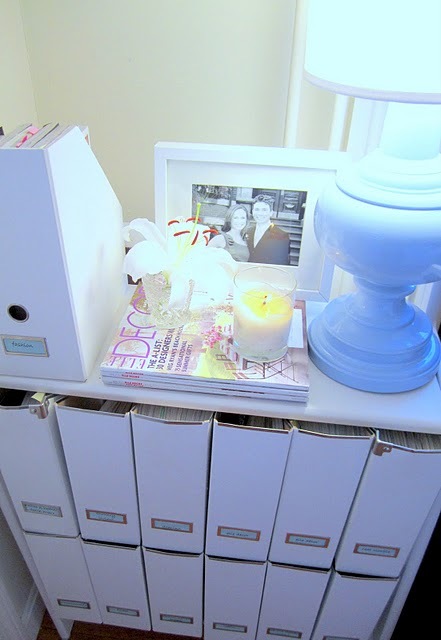 What a great way to organize your magazines. They look great! I wish I had that beautiful handwriting too! You must have quite the collection! I just bought the same organizers in orange :) Have a great weekend with your girls! I'm with most of the girls here-it pains me to throw away magazines!!! When i moved to Greece I was forced to give my old collection of Elle & Vogue from 1992-2000 and something to a fashion college... I was traumatized! Of course i kept the x mas editions though! Isn't it funny how organizing can make you feel so good?!?! I always wonder what that says about me! Wink! Bryan insists on pre-approving all of you prescriptions for me. I was ready to run to whole food and he was like "wait, i want to look all of these up first". haha, modern medicine vs. natural healing...the debate is never ending. that organized space makes me soo happy!!!!! 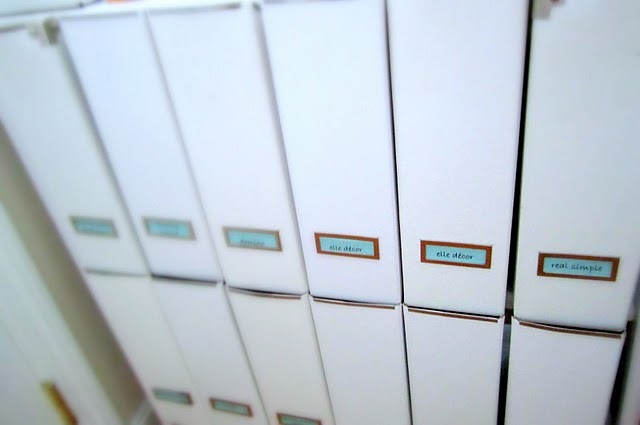 I saw this post over the weekend and died over your magazine organization and styling. I look forward to your posts! So pretty! I too have these magazine holders from Ikea however, yours look much more delicious than mine. Do you keep a lot of back issues? Wow these re wonderful. Thanks! I was wondering what the shelf is that your using. Is it sturdy enough to hold a lot of weight? it is a container store bookcase- it always held up.